The solution for potable water transfer: Lightweight and durable, TE is manufactured of circular woven polyester fabric completely encapsulated by polyurethane elastomer that is forced thru-the-weave. 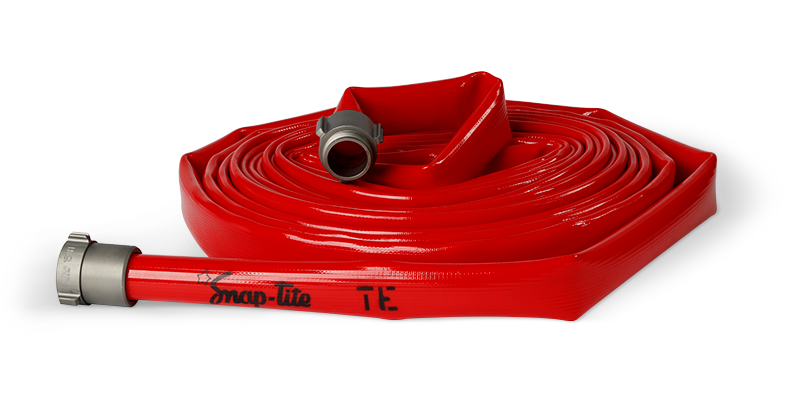 It is ultra-compact and is offered in diameters up to 6″ (150 mm), in typical coupled lengths of 50′ or 100′ or in single lengths to 660′ (200 meters). 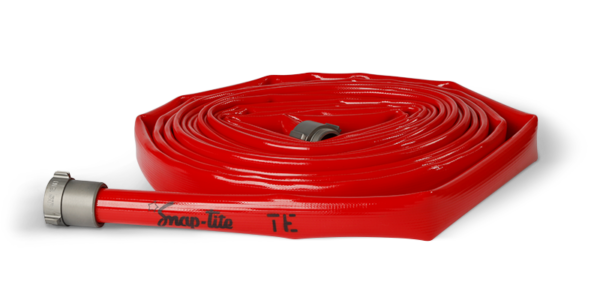 The solution for potable water transfer: Lightweight and durable, TE is manufactured of circular woven polyester fabric completely encapsulated by polyurethane elastomer that is forced thru-the-weave. It is ultra-compact and is offered in diameters up to 6″ (150 mm), in typical coupled lengths of 50′ or 100′ or in single lengths to 660′ (200 meters). The dependable TE is weather, abrasion and crack resistant; is capable of operating pressures up to 225 psi (1550 kPa) (not all sizes); and is made of NSF/ANSI Standard 61 approved materials, allowing it to be used for potable water. Durable. 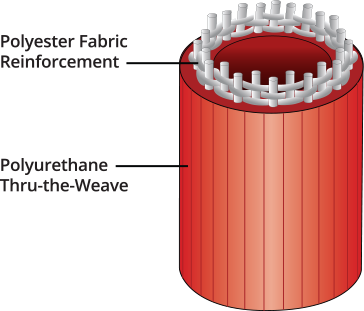 NSF/ANSI Standard 61 approved polyurethane is extruded thru-the-weave, lowers drag force and provides long service life. Rugged. Tightly woven polyester reinforcement resists puncture. Flexible. 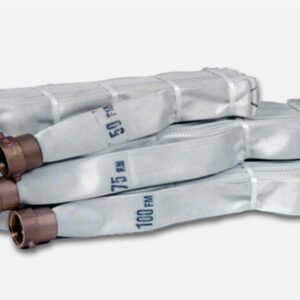 Hose remains flexible to temperatures as low as -40°F (-40°C) and is resistant to ozone, oxidation and most chemicals or petroleum products. Versatile. 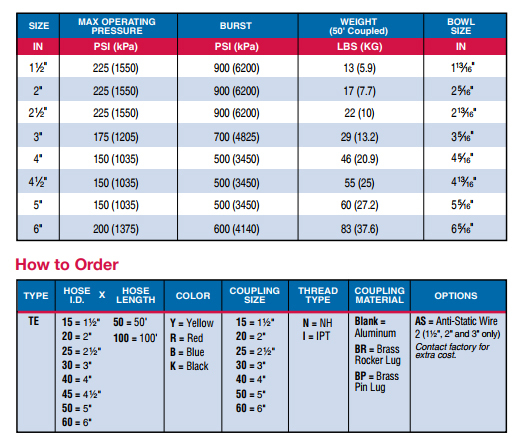 Available with aluminum or brass NST/IPT threaded couplings (to 3″ ID only).